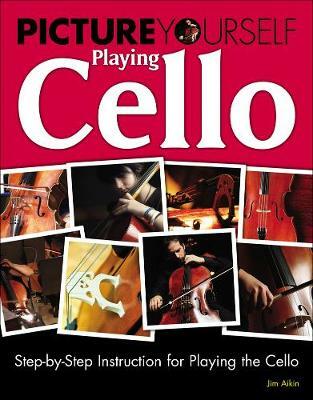 If you want to play the cello, this book is for you! Whether you're an absolute beginner wondering whether it might be fun to rent an instrument to try it out, a student in school who is thinking of signing up for an orchestra class, or a budding cellist who has been playing for a year or two and is looking for ways to develop a better technique and a better sound, PICTURE YOURSELF PLAYING CELLO will provide practical, hands-on advice that you can use. The easy-to-follow instructions and the numerous pictures and diagrams will show you how to hold the cello, how to use the bow, and how to finger the strings to play music. The book begins by providing a wealth of information that you'll find useful as you get started. You'll learn the names of the parts of your cello, how to make sure the cello you're thinking of renting or buying is in good condition, how to tune the cello, how to replace the strings, and how to hold the instrument while playing. You'll also learn about cello accessories and how to care for your instrument. After the basics are covered, the book will teach you how to use the bow to produce full, satisfying tones, how to place your fingers to play different notes, and how to read sheet music. Lastly, you'll find a selection of easy songs to get you started and some suggestions for other cello music that you may want to try. Everything you need to get started playing the cello is covered!